Seller will give you a gift certificate in the amount of 12 RUB for a positive review of the product purchased. 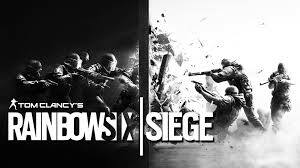 "Tom Clancy´s Rainbow Six® Siege" is a new part of the world-famous first-person shooter series, developed by Ubisoft Montreal for new generation consoles and PCs. 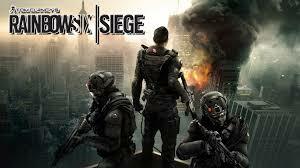 The plot of the game is based on the fight against terrorism around the world. 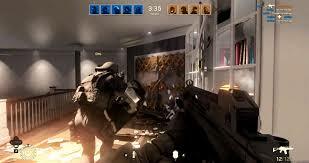 In the "Tom Clancy´s Rainbow Six Siege" you can fully integrate into the art of destruction. You are waiting for intense battles with a constant risk to life, the possibility of team play and, of course, the most complicated operations. One mistake - and everything will fly to the air! The network mode displays hot skirmishes and tactical planning to a new level in the best traditions of the "Tom Clancy´s Rainbow Six" series. 3. Go to the "Games"
5. Cashback - after purchasing, for a positive review, you will receive a gift card. ✔ If there is a online ban on the account you purchased, you have 24 hours to inform us. ✔ On many accounts, there may be other games, such games are going as bonuses are COMPLETELY FREE! ✔ The presence of the Russian language in games - not verified. ✔ Data from the email account - do not provide, so the rank battles are not available. ❗Huge request! If you have any questions or problems, write in personal correspondence! ❗ Please do not post negative feedback before contacting the seller. 1. Warranty for the purchased goods. 6. If there is a claim for the quality of the purchased goods, you must inform the seller immediately after purchase. The accounts I purchased were banned but the seller was very helpful and replaced my accounts right away. Seller will give you a gift certificate in the amount of 12 RUB for a positive review of the product purchased..